To discuss the influence of Wagner on operatic traditions in the latter part of the 19th century is a challenging task. It is challenging because it requires us to make some distinctions about what Wagner's unique influence was and what it was understood at the time to be which was not always the same thing. This distinction is important because in critical circles, charges of "Wagnerism" flew frequently and often acidly and it is important to know how much of this is just and how much was part of a growing frenzy that his music (and more so his personality) had caused. The general trajectory of Wagner's influence begins with him as polemicist. He wrote ceaselessly on many topics, but his manifesto Oper und Drama, was particularly important. Written in 1852, nearly a decade before the Paris Tannhauser, this tract was the principal vehicle by which most people even new what Wagner was about. It served as a primer by creating an artistic framework with which Wagner felt his works should be judged. Political hostility, linguistic and practical performance requirements as well as current musical tastes kept productions of his operas limited. Wagner was still mostly theoretically understood, in fact most of his own earlier operas and familiar operas, including Tannhauser, were written before Oper und Drama. Because of the very gradual way Wagner pervaded musical life, there was an enormous lag time between his polemics and his premieres. By the time of the controversial Paris Tannhauser, in 1861, he had already finished the first two operas of the Ring Cycle and the landmark Tristan und Isolde yet the international public was still acclimating itself to this sixteen year old work. But, once Wagner conquered, he was indomitable and his ideas, or more often how people understood his ideas were the standards by which all operatic works were judged. The first signs of the coming sea-change were in Italy, a decade before your question. Lohengrin was the first Wagner opera to be performed there (in Bologna), on November 1st 1871. At the Italian premiere of Aida three months later, some critics, perhaps with Lohengrin still in their minds, thought they had detected hints of Wagner circa 1850 in Verdi's new opera, a sign that even a celebrated and mature a composer as Verdi would not be given the benefit of the doubt in the new music circles. The 1880's was the first climax of Wagnerism particularly in France. It was the decade that Wagner died, the decade of Bayreuth, Parsifal and the complete Ring and the introduction of one more Wagner work, Lohengrin, into France: Nice 1881. The internationalist and assimilative French style (Verdi referred to the Paris Opera House as "La grande Boutique") was swamped with reactions to the tide of Wagner. This tide manifested itself in a number of different ways. Because Wagner broke so much new ground, French composers took what they thought was most striking. Among these were the subjects for the operas themselves. Wagner's operas were inspired by Celtic legends and mystical stories a world away from the quasi or faux-historical plots from an earlier generation. France (as well as Italy) abounded with mythological or epic stories almost all forgotten of which D'Indy's Le Roi D'Ys and Chabrier's Gwendoline remain (barely). Wagner's musical vocabulary and orchestration also tantalized the French. It was de rigeur for French artists and intellectuals to make their pilgrimage to Bayreuth and there they could listen, be overwhelmed and scrutinize all of the Wagner canon. Those that went had a life changing experience in one way or another but when they came back the French musical language particularly in opera was imbued with deeper chromaticism and a wider vocabulary of modulation. These traits are seen famously in Massenet who rivals and critics termed "Mademoiselle Wagner." While Manon and Werther hardly seem ripped from the pages of Seigfried, critics could detect a greater subtlety of musical shading and range of expression that they believed had come from studying Wagner. The ecstatic singing of Manon and Des Grieux in the finale of Manon, particularly at "Ah, Je sens une pure flamme" may have struck them as having a Wagnerian tinge complete with trademark turn. In Werther, The entre-acts especially the one leading to the letter scene have a boldness of chromatic harmony, a richness of orchestral timbres and a contour that seems not out of place with such preludes as the act III one in Parsifal. 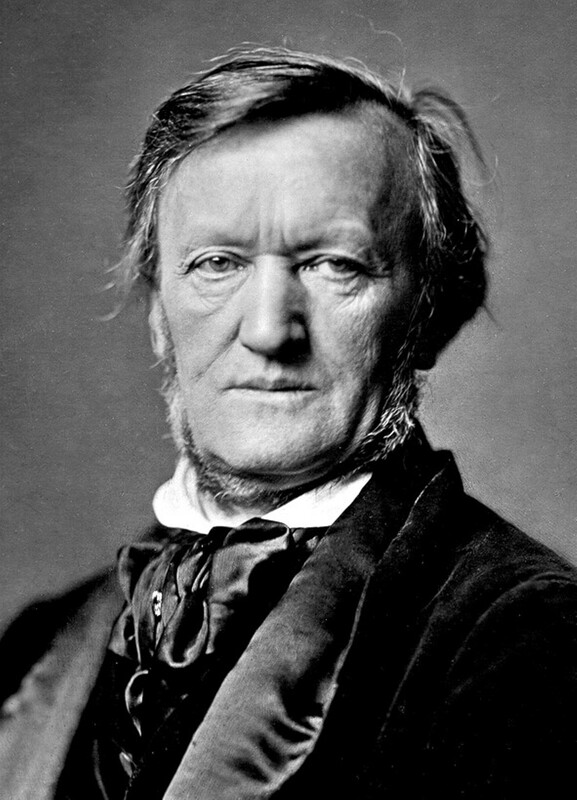 Perhaps the most famous innovation that Wagner is associated with is the leitmotiv technique. The idea of unifying a work through flexible interwoven motives provided a way out of the "number opera" approach that was inherited from the Classical Period. If there was one outstanding reason that made Wagner the most compelling influence of his time it was his acute awareness of the problem confronting Romantic Opera in the latter half of the 19th Century: How to free opera from its dependence on easily recognizable and limiting structural forms, arias, duets, ensembles and recitative, and replace it with a more flexible yet recognizable system based on the drama of the story as opposed to the structure of the music. The problem preoccupied most composers of the time, but Wagner was public and prolific about it and his solutions were the ones that were disseminated. It is easy to see then, what was attractive about his influence. Wagner saw the same problems they all did and he arrived at a solution that was practical and innovative. This solution of course, was not entirely unique and not strictly speaking always Wagnerian. In his career we can see Verdi, Wagner's contemporary, talk and write privately about the limitations of opera as he saw it. We can view his works, from Nabucco to Rigoletto then to Aida, operas written before the taint of Wagnerism can be imputed, as another solution to this dilemma. Conceiving of his operas in larger and larger uninterrupted sections, Verdi was arriving at his own unique solution. But Wagner put himself at the forefront of this debate and having famously championed it he became indelibly associated with the Lietmotif system (a name he didn't even create) regardless of how it was employed. This point is important because in the 1880's when the use of motives was now to differing degrees prevalent in all important operas of the time Otello, Manon, Andrea Chenier, critics and listeners simply judged its "Wagner Quotient" by whether it employed leitmotifs at all, an exceedingly elastic criteria.